Last week I brought you a pretty cool deal from American Express. 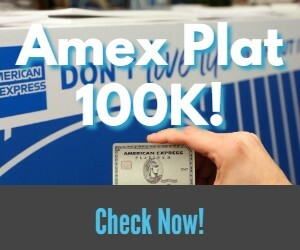 In an effort to gain adoption of their new Paypal alternative Amex Express Checkout, the company is offering a $10 credit at a variety of merchants including Newegg.com and others. Limit one (1) $10 statement credit per American Express online account (card) per merchant. Since the terms weren’t clear about the eligibility of every card, I made a few test purchases. Thankfully I was able to confirm that each American Express card can receive a $10 credit at each merchant. I have confirmed this across several accounts and merchants. Do You Need a $10 Purchase Amount? One of the interesting parts of this deal is the lack of a minimum purchase amount in the terms. When the deal launched several people theorized that any purchase would work to trigger the credit. This is in fact true. I was able to personally receive a credit on all of my cards for a $.40 purchase of downloadable content on Newegg. I have since received credits from Ticketmaster and Sabon for purchases of less than $10 as well. Here are a few ways you can maximize this deal. If a merchant isn’t listed below, then I haven’t found a profitable opportunity to utilize this deal through them. While Newegg used to have $.40 DLC, that isn’t the case anymore. Don’t worry though, you haven’t missed out completely. You can still buy DLC codes for $.99 which would net you a $9.01 profit per card. This is the best option and doesn’t require any shipping or other fees. A new $.50 option has surfaced. It probably won’t last long, but should net a $9.50 profit. You can find the tickets here. Sabon sells $10 eGift cards. You can purchase multiple $10 cards and then combine them to purchase merchandise at Sabon. You won’t make actual money, but you can get $10 worth of free merchandise for each Amex card that you have. The Wall Street Journal offers a 12 week trial subscription for $12. After the $10 credit, you are only paying $2 and you should also be able to go through a portal to make this a profitable endeavor. Unfortunately it seems that the subscriptions are limited by address, so you may not be able to maximize this across all of your cards. While some of the opportunities have dried up with this promotion, there is still time to make a few bucks simply for using Amex Express Checkout. I probably wouldn’t wait, because these opportunities are not guaranteed to stick around until the September 7 expiration date. Previous articleWill Sharing Restricted (Taxable) ThankYou Points with Another Account Remove the Restrictions? So the multiple purchases using different AMEX cards were all made to newegg? Has anyone tried AU for the amex cards? I also took the gamble and just keep same login for my cards, all of the credits posted as well. I haven’t tried for AU though, anyone? I have separate logins for all my AUs and received credits for all of the $0.01 purchases I made with each one. What did you buy for $.01? They were selling online video courses on business writing, steam production (? ), and occupational safety. When I checked over the weekend these products were showing up as out of stock, and now I don’t see them at all. For my last few purchases I bought the $0.40 video game codes. It is stated as limit of 1 credit per statement. Did you get the $10 credit on your card and also a $10 credit for the AU on the same account? If that is the case, than this deal is even better than we think. Yes, I got the credit for primary cards and AUs on the same account. Is this a targeted offer or only those who get this offer via email can avail of it and get the credit? No this is available to everyone. All of the details are in my original post from the other day. Does this work for co-branded cards like the BBVA Compass NBA card? I want to know if this works as well. I have the AMEX Fidelity CC. No it will only work for cards issued by American Express with a login on the American Express website. I had success on AMEX Green, Detla, and Blue Cash, but could not get it to work on two different Gold cards. Even customer service verified that it was not working on some Gold cards. did AMEX change the terms and conditions? in the email i got from AMEX today, it says at the bottom ‘ Limit one (1) $10 statement credit per American Express online account per merchant. ‘… the ‘per AMEX online account’ clause — is that new??? did they change the terms suddenly? Will this work if I purchase NewEgg e-gift cards or any other e-gift cards? I need to buy $24 worth of stuff from NE, so I would like to take advantage of 3 $10 back. Nevermind, I just opened the SlickDeals post and someone had success. My next question is, do I have to sign out and then back in to NewEgg and try the AMEX payment? Nope you can do it all at once! One order after the other. It will definitely work for merchant eGift cards. I’m not sure about Newegg gift cards but I don’t see why not. I’m sorry, $62.25. Didn’t factor in I was able to get 2 $.40 codes! Anyone seeing these statement credits post since word spread on this? I have had a number of newegg purchases post to my cards today, still no credits showing. Wonder if Amex tweaked their algorithms. I have received credits from 3 cards 2 days after the charge in each case. I just learned something tonight regarding $10 gift cards from Newegg. Apparently you cannot purchase a $10 gift card from the same vendor within 48 hours of each other. Last night I got a $10 gift card for Chili’s and then a $10 gift card for CVS. Tonight I wanted to get a $10 gift card from CVS and initially it went through but then I got an email saying it was canceled because it was within 48 hours apparently of the previous $10 CVS gift card. Just something to know! Therefore, I’ll wait until tomorrow to get my $10 gift card for CVS! Seeing statement credits post today but only for newegg when I did multiple merchants. Anyone else verify multiple merchant credit post? Thanks. What I do know is that you just have to make a purchase (any amount will do) & I think there are some items at Newegg (which I won’t use) that are as low as $0.40……you just need to hunt for them VS just get a $10.00 gift card for something you’ll use like the CVS store, very easy, enjoy! Yes, thanks. I meant more if you did newegg and ticketmaster and sabon… All cards. Only seeing one set of credit so far today for newegg which was first. Just wondering if anyone has actually been successful getting the $10 statement more than once per card via the multiple vendors language. As of now still only Newegg for me. Credits for my $1 TM transactions started posting yesterday afternoon. I see in the fine print for AMEX express check out (confirmation email) under terms and conditions “A statement credit will appear on your billing statement within 90 days after September 7, 2015.” Well my statement credit appeared within two days! Ditto – a nice surprise! Although it does fit AMEX’s m.o. from previous offers. You don’t have to spend $10. If you go to Newegg there are some useless things ( I think they are downloads to play some games) to buy for $.40. I purchased a $10 gift card for CVS on July 14 at 8:47 PM Eastern standard time and I see the $10 credit at the American Express credit card website posted July 16, 2015. Good luck ( sorry I only have one American Express credit card) But there’s only one way to find out and you would only be losing $.40. Now let me add something further…. Newegg may have a problem with you going back in and ordering the same item within 48 hours so on the second one select a different $.40 download so it won’t be rejected versus go back in in 48 hours and make the purchase. I hope this is clear. American Express checkout is not an option on ticketmaster if you get the free ticket for Selma and donate $5. I guess they are on to us! I made a purchase for a $25 Newegg GC yesterday. I am planning on making 3 more purchases to buy a $99 item…it will end up costing $65 => 99…that’s because NE charges $1.99 fees. If I go through a portal I will probably get back $2. 1.- Does anybody know if I can use 4 GCs for the purchase? $.50 Ticketmaster Tickets now sold out. I almost feel bad for the poor concert that is sold out, but that no one is actually going to show up to. I’m not even seeing Amex Checkout on Ticketmaster at this time. Anybody else?